Luxurious touches, including a marble bar top and soft leather stool seat, make this group the perfect choice for your home. 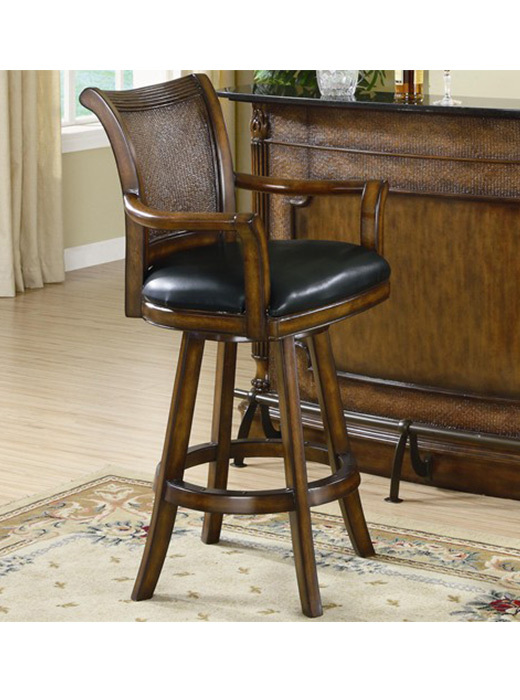 This beautiful traditional bar stool will be a lovely addition to your entertainment area. The elegantly curved faux wicker chair back adds a casual appeal to this sophisticated piece. Sleek wooden arms and tapered legs create a rich look, in warm medium tone wood. 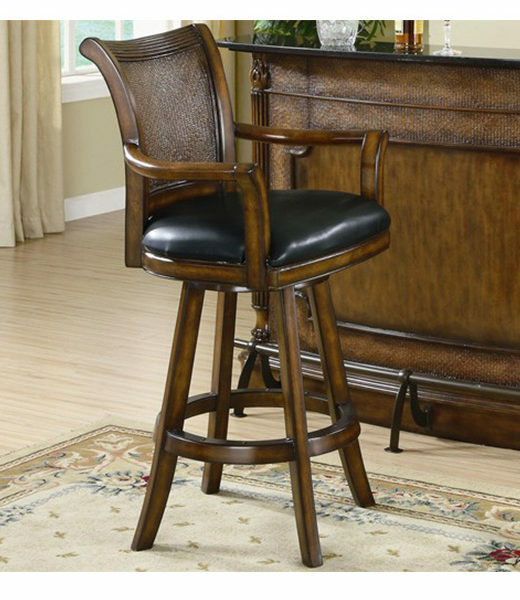 A luxurious black leather seat adds comfort and style to this beautiful bar stool, making it a perfect choice for your home. Pair with the matching bar unit for a harmonious ensemble in your home. The Claredon collection will transform your home bar and entertainment room into a traditional space with warm casual appeal. With traditional fluted columns, carved details, and textural faux wicker panels, this bar unit and bar stool set will fit beautifully with your home decor. Luxurious touches, including a marble bar top and soft leather stool seat, make this group the perfect choice for your home. Finish & Paint Options Warm medium wood finish.